Chelsea have a whopping 34 players on loan across Europe, and many of them are simply toiling on the sidelines. As the January transfer window approaches, however, the Blues could be ready to bring some of their loanees back to help save the season. According to the Mirror, a trio of Chelsea loanees are set to return in January including infamous £5 million flop Wallace, along with Nathaniel Chalobah and Islam Feruz. The source reported that Wallace will return from his spell with Carpi after just one start with the Italian club. 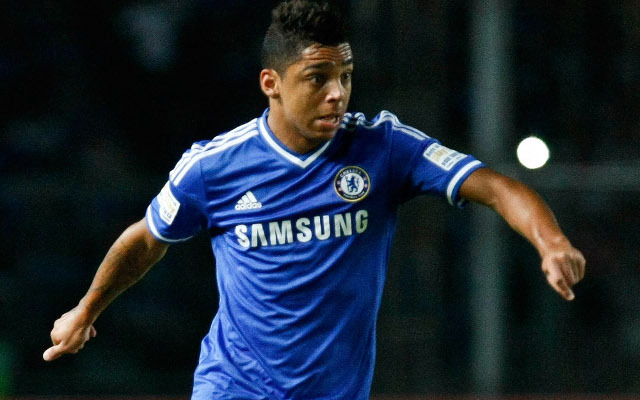 He has yet to appear on the Chelsea first-team since joining in 2012. Chalobah has been loaned out to six different clubs since leaving the Chelsea academy system and joining in 2012. The 20-year-old has been capped 24 times for the England Under-21 team. Feruz has made a handful of appearances for Hibernian in the Scottish Championship Division and scored twice for the Scotland Under-21 team. Confirmed? Has Justin Bieber turned his back on Chelsea for Southend United?